Enjoy the deeply affecting story of the nights in the grannies’ hospital. This is a tale about a boy who get into it and meets a granny with her old friends there. You have learned that the grandma hides the recipe for a delicious burger! You must find all the recipe pages. For that you need to survive five scary nights there! You need to find out the secrets of this horror place. Try to get all the pages of the burger recipe. You’ve been interested in the abandoned hospital in your neighborhood for a long time. You often watched the shadows in the windows. You wanted to come there and say hello to the grannies but they started catching you! You decided to penetrate this horror place carefully and find out what is happening there within five nights. Your goal is the pages with the secret burger recipe! 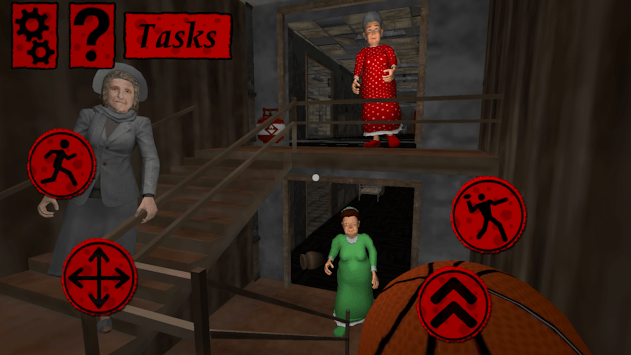 Be careful: there are many different granny enemies that can catch you! • Unique Gameplay! 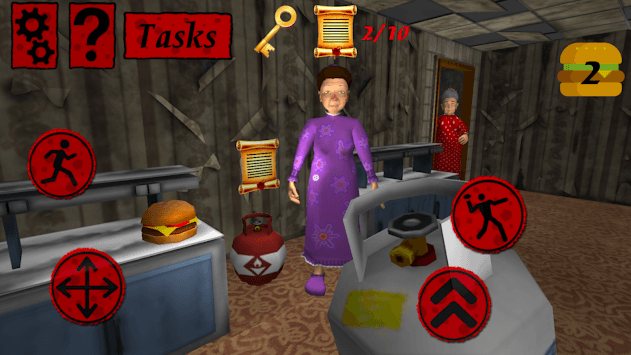 Eat food like burgers for recovering of your stamina, run from the neighbor grannies, throw objects to stun them and hide under beds! Seek for useful items. 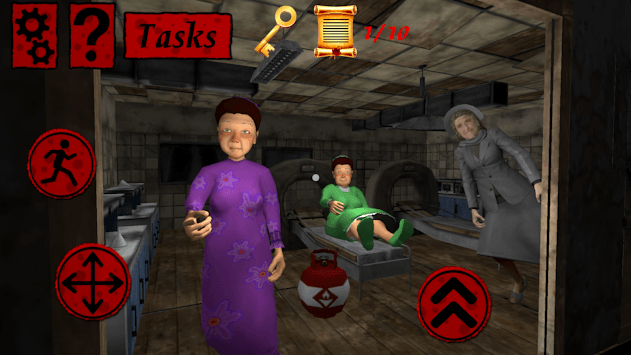 You will like this granny hospital style horror game! • 10 languages: English, Russian, Spanish, French, German, Italian, Chinese, Japanese, Korean and Arabic! • Incredible environments. Explore this huge mystic hospital and spend five scary nights there and try to get known the secret of the neighbor granny's burger.